Before you can generate high quality leads for your business you need to figure out exactly what it is your traffic wants not what you think they need, then simply give that to them in the form of a lead magnet. 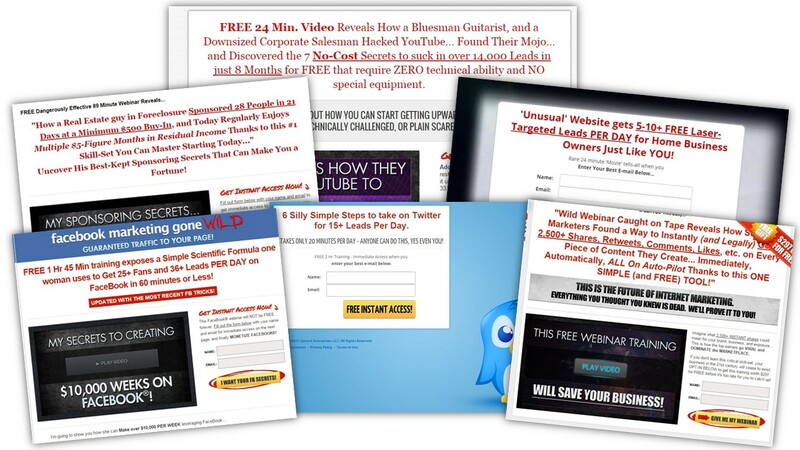 Get access to over 50+ ready and done for you lead magnets here now! 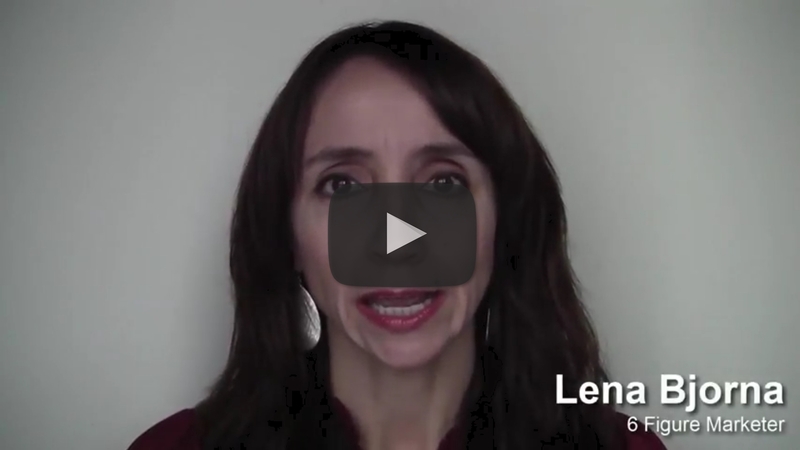 Want to generate more leads for your home business? Here’s the harsh truth, if you’re not offering your traffic something of value that they want NOT what you think they NEED you’re going to find it very tough to generate leads or at least quality ones that convert into sales. This is one of the biggest reasons people in the online marketing space struggle when starting out, they are told by their sponsor/upline/company to go promote their generic lead capture pages that basically purely focus on their main product line and benefits. There are two things to consider as an online network marketer/internet marketer, people are most likely already part of a company/team or selling some kind of product so are not looking for products, their benefits or another company to join. The biggest mistake you can make is to go head in on a pitch fest about how awesome your product/company is and why they should join you and then send out random links to lead capture pages that talk all about the product and business you want them to join or product you want them to buy. You might have heard the saying people love to buy but hate to be sold to, this is exactly what it means. If you just focused on building a highly targeted audience first you’d understand and see how much easier it is to get results. The more desperate you sound and look the fewer conversions you will get, spamming, pitching and nagging simply doesn’t work, how do I know? I’ve been there and done that in my decade in the industry. 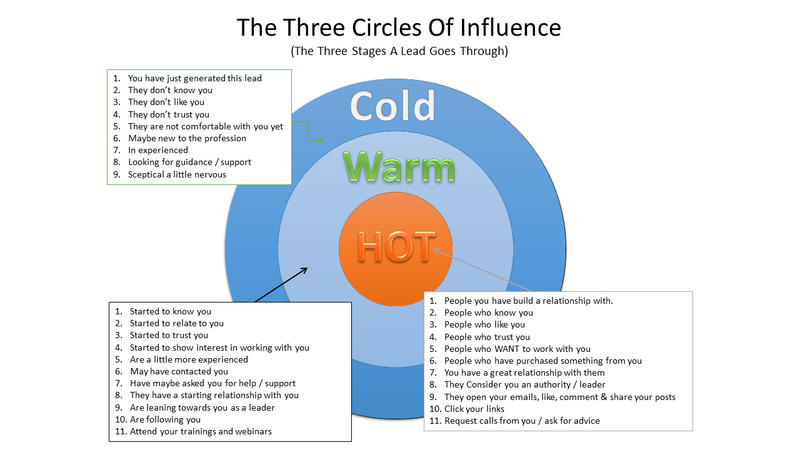 Above is an image of what I call the three circles of influence, take a look at this and determine where on this scale you are right now and you’ll see how important it is for you to not prospect or try to sell things to your COLD audience and instead focus on first warming them up by building relationships, getting to know them by providing solutions and giving value upfront until they are able to make the decision to want to work with you. 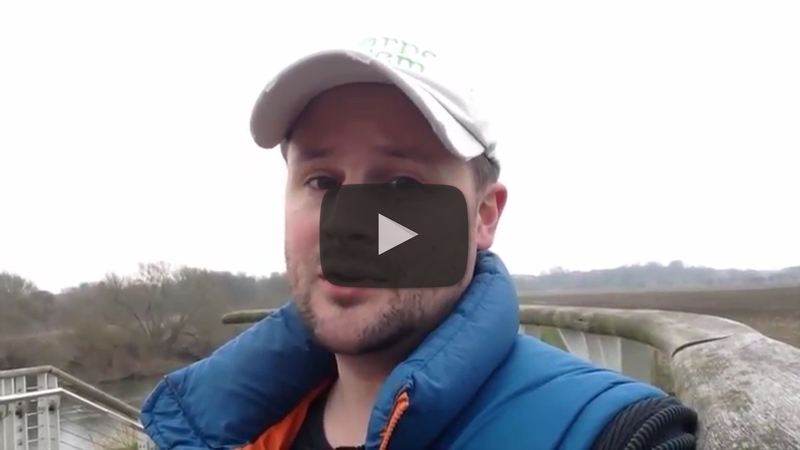 Yes you can sometimes get a lead or sale from your cold market but the quality of that lead or sale is nowhere near as good as you first having warmed that traffic/lead/prospect and yes you will always have that one awkward lead who refuses to budge off the fence, it’s all normal and you just need to move on. So here’s the big aha moment for you if you’ve not already had it, it only makes sense that for you to generate leads you just give people what they want, it’s really a no-brainer right? Which is exactly what I did to get my results. I’m about to share with you how I was able to generate 2,535 high quality targeted leads that went on to bring in an extra $21,644 without me having to promote any products up-front or create any of the lead capture pages, sales pages, or funnels, in fact, they were all ready and done for me. Oh and here’s the thing if you’ve been in the online marketing space for any length of time you know that 2,535 leads is not a lot but the reason I was able to rake in that $21k+ is because it’s not about the quantity but more about the quality. 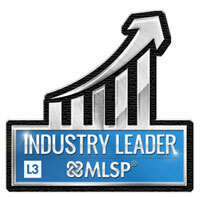 I did two things that brought in those 2,535 leads and ultimately more cash! Those would be the worst quality of leads you could ever get, it’s much better for you to generate your own leads than to buy someone else’s, for the reasons I’ve mentioned above in the three circles of influence illustration. So now that’s out of the way here’s what I did…. Firstly I made sure to do some basic research to find who my ideal target market was and what they actually wanted, emphasis on “WHAT THEY ACTUALLY WANTED” not what I wanted to give them! Secondly, once I had figured that out and had the right quality of targeted traffic I simply sent them something of value that provided a solution to a problem which my ideal prospect wanted that I could basically give away in exchange for their contact information (name, email, tel etc….) this is also known as a lead magnet. What does a lead magnet look? 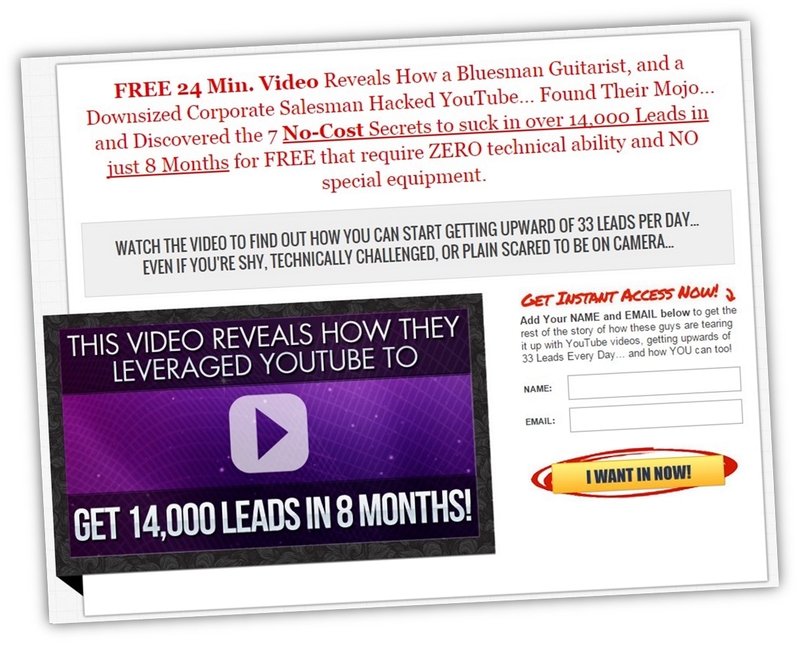 Here a just a number of high converting lead capture pages/lead magnets I still use today to provide solutions and build relationships up front, the best part is I didn’t create any of them. They are all ready and done for you to use. So here’s a question would you like results like this? Of course you do, otherwise, you wouldn’t be here right? So the first thing that you need to understand about generating leads is, it’s really just a matter of you giving your traffic what they want and not do what most people do and give them what you think they need, give them the incentive and show them how to get it like in the above screenshots of the lead magnets. Don’t overcomplicate this simple formula. Sure, not every single bit of your traffic will result in a lead or sale but that’s just how it is, although you would have definitely increased your lead flow which means you can always follow up later with a targeted offer to that specific audience over time. Now the question is how do I give away something of value when I’m new and struggling myself? Good question. After spending thousands of my hard earned dollars doing that I ended up with barely anything to show for it, I didn’t even break even most times. That is when I discovered if I could simply focus on somehow giving people something they wanted it only made sense they would be willing to opt-in to my forms for that information. So with the information, I have shared with you today, you should be well on your way to generating more leads and getting more sales, just remember to lead with value, provide solutions and warm your leads before exposing them to your main business/product or opportunity. This will no doubt increase conversions. 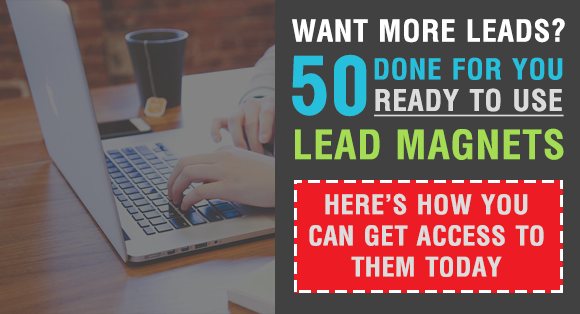 NOTE: Want to get over 50+ done for you ready to use high converting lead magnets that give away value in exchange for leads Click Here now and get access to the same ones I have used personally to get my own results as shown in this post.